You are here: Home » Water Ionizers » WaterforlifeUSA Boo….Watershed Yea! I received an email today from Mr. Alderin Ordell, the owner of WaterforlifeUSA. He demanded that I remove previous statements that I have made about his company being shut down and to retract my opinions of himself and his company. It appears that Mr. Ordell has somehow managed to find a way to stay in business despite the huge mess he created. My goal is to report things accurately, so I feel obligated to retract my statement that WaterforlifeUSA has been shut down. I won’t retract my opinions in regards to the business ethics and practices of the man and his company. My advice to anyone considering the purchase of a water ionizer would be to look for another place of business, as there are many good alternatives. I have mentioned in the past that I believe that the key to a successful purchase of a water ionizer is to find a good representative to deal with. To me, the brand is not as important as the dealer. It’s the dealer who determines which machine is best for you and provides advice. It is the dealer who will be looking after your best interest in the future. Carrying a good product such as the EOS Platinum at a good price is obviously not enough. I continue to hope that EOS finds a bona fide dealer in the USA who will provide strong customer sales and service. 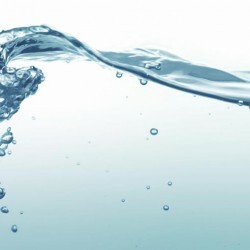 If you are interested in buying or distributing electric water ionizers, you might want to check out Bob McCaulay’s company at www.watershed.net. They pioneered the water ionizer industry in America when they began distributing Jupiter machines in 1996. Bob is the author of the Best Seller “The Miraculous Properties of Ionized Water” which has been the “bible” in the industry for many years. Bob has been the subject of industry abuse and ridicule for years because he has always been a strong advocate of affordable ionized water (what a concept). In an industry known for its greed, anyone that preaches lower prices and good value is treated like a villain. To my knowledge, Bob has never retaliated as he keeps busy educating and working. How about that for a shameless plug? It’s easy for me to support the good guys. It is important that people understand that the water is amazing. The trick is to find out who to deal with, as all the machines work. 10 Responses to WaterforlifeUSA Boo….Watershed Yea! What does “appears to me” mean? Can you elaborate? Does he owe you money? The only thing that looks apparent to me is that you have a businessman that decided he wanted to distribute product another way, direct. How can you fault a businessman for that? Are you suggesting customers were better better off buying through a middleman dealer of WaterforlifeUSA? This is absurd. I think this is the not so hidden agenda. I base my opinons on the information that I have learned through my connections in the industry. I know for a fact that Mr. Ordell has misrepresented himself to customers, dealers, and suppliers. I stand by my statements and I don’t think there is a place in the industry for people like him. I absolutely believe that consumers are best served by a knowlegable dealer who will take the time to learn about the customer’s needs and provide unbiased solutions. The goal should be to serve the best interests of the customer. I consider it a bonus if the dealer carries multiple products rather than carrying only one product, because no single product offers the best solution to all customers. I personally don’t think that distributors should sell to the public at all. I believe the job of a distributor should be to create and support a dealer network. I have zero connection to or have an agenda in regards to Watershed other than I respect the man and his business practices. Bob has been “doing it right” for fifteen years, and it would be a lot healthier industry if others emulated him instead of ridiculing him. Can that information be found in this blog? I think your connections in the industry would love for all their competition to disappear and are using you to help take one of them out. I’d rather do the research myself and buy from a knowledgeable distributor and save a few hundred dollars. I do my research and then I write. I don’t need to get into all the ugly details as it serves no purpose. My goal is to educate people about the benefits of the water and to make them aware of business practices that are unfair. Ultimately, if the industry is going to grow, the industry itself needs to grow up and behave in a manner that promotes growth. To date, the industry has been under capitalized and has been grossly lacking in integrity. As a result, there is no coordinated effort in the industry to promote the industry itself. When the individual players behave badly, it reflects upon the entire industry. The public is already so cynical about government and business that when they get a sniff of wrong doing, they run. I don’t know who you are referring to when you say that my connections would love for all their competition to disappear so they can take over. I don’t have any affiliation to any company. I have been accused of supporting a number of companies and it is simply not true. I want all the companies to flourish, as long as they operate in an ethical and honest manner. I believe competition is healthy and good for the consumer. If a customer is confused or unsure, they will not buy. In the same way, if a dealer is confused or unsure, they will not sell. That is why I hate the idea of distributors undermining their own dealers by selling to the public at a discount. Tyent and Chanson and Waterforlife USA have a long history of undercutting their own dealers. You said it yourself that you would rather do the research and save a few hundred dollars. How to you think the dealers feel about that? Dealers pay more for their machines than distributors because the distributors make a profit from every machine sold by a dealer. Dealers also pay for advertising to market the brand and spend a lot of time educating their potential customers. Dealers often direct their prospects to the website of the distributor because the distributor has typically spent a lot of time and money creating a good website. Unfortunately for the dealer, a significant percentage of customers end up calling the distributor before they buy a machine. The calls are made in an effort to obtain more information and to see if they can purchase the machine for a discount. When a distributor sells to the public (which it sounds like happened in your situation) at a discount, the distributor is effectively stabbing the dealer in the back. It is no mystery why dealers from a number of companies are abandoning their distributors. I have all of 5 days investigating water ionization machines. From my observations it appears over 90% are sold by single households. Many have websites they don’t update because they had a discontinued model available to buy even though they didn’t have one and couldn’t order one. I think the odds are that the concept of drinking ionized water for better health is akin to buying snake oil. Since I have money to burn, I’m buying one on the outside chance that my family might benefit from it. 2 days ago I ordered a machine from WaterforlifeUSA. I spoke to Mr. Ordell a few times before ordering. It appeared that he’s a one man show, like so many others. I didn’t care. Low overhead is good. Until you present specifics about why Mr. Ordell is a bad choice, other than you heard bad stuff from his competitors and former dealers, people should consider buying from his low overhead operation. I did see that you raved on this blog about the machines he sells. BTW his dealers were not left out in the cold. WaterforlifeUSA has an affiliate program where affiliates are paid a 25% commission. They don’t have to stock anything. Although I suspect most didn’t stock more than one machine and drop-shipped everything else. You have presented a good case for dealing with the company you chose. I could provide dozens or perhaps more than 100 stories from people that have very negative things to say about the man and their dealings with his company. It is refreshing to hear some good news for a change. Now I have a couple of questions for you. 1) If you think that buying a water ionizer is akin to buying snake oil, why in the world would you spend $1,500 on a machine. If you do have money to burn, I can suggest all kinds of organizations that could benefit from a donation. 2) Why are you taking all this time and effort to support a guy that you spoke to over the telephone before ordering a machine? You sure seem to know an awful lot about his company and how he runs things. The freedom of speech that we all enjoy is a wonderful thing. If you are happy with the machine that you purchased, then I’m happy for you. You will find that the water is wonderful despite your misgivings. Don’t forget to tell all your friends. I answered this in the next sentence after my snake oil sentence: I’m buying one on the outside chance that my family might benefit from it. Because it looked to me that you have unfairly trashed someone using hints and zero facts. Money to burn and time to waste helps too. Now if you would be more forthcoming with facts you might be able to sway me and others that what you’re hinting about is credible. “Too much money….too much time”. I don’t have either. I’m almost certain now that you are Alderin despite your clever attempts at misdirection. Such blatant arrogance is rare, and who else would bother to continue to dwell upon such an irrelevant subject matter. I try and make every day count and this is getting tedious. Unless you have something constructive to add to the blog, please don’t waste people’s time. As a follow up to the above comment, Mr. Ordell replied using his own name. His previous messages sent in disguise as Greg were pure fiction. The fact that Mr. Ordell would resort to using a fake name and a fake story, doesn’t surprise me at all. Having just read through all the comments i must say i am quite disappointed to see Ordell resort to this kind of hide and seek posting with fake details. Considering i have in the past bought a machine from WFL USA (no problems yet, touch wood..) my mistrust has once again grown bigger for the industry. All this reading about the crap that goes on in the industry, it really has become very hard to recommend an electric ionizer company to anyone as most of these businesses cannot seem to behave in a respectable manner. It seems most people are in it just for the monetary gain. At least with the newly found technology that is antioxidant filters, people can get alkaline water at a decent affordable price and thus at a smaller risk of being screwed over as well compared to ionizers with 1000$ + price tags and shady warranties. I have gone through the same disillusion phase myself. I have grown weary of the nonsense and just decided to “let it go”. The machines themselves are great, but the industry is badly in need of an association to promote and police itself. I don’t think that anyone in the industry intends to “screw” anyone. I think it is more about poor management and under financed operations, which is what you usually happens in a new industry. Eventually the “fast money” is replaced by solid companies or the “fad” dies off. The jury is still out in this case, but I see a lot more blood letting before I see any growth. Mercola killed the industry and the industry didn’t fight back. Now that the new and much more affordable technology is available, I don’t ever see the electric water ionizer business thriving. In my opinion, the only decent organization in the industry is Enagic, but their price point is ridiculous. There is no point in arguing with the Enagic reps about price, because all their “reasons” are just excuses to back up the outrageous price. The actual cost of manufacturing is a fraction of the retail price and the technology is the same for all the different brands. Plate thickness or size, or wattage, or all the other “my Dad is bigger than your Dad” reasons are all virtually irrelevant when compared to the impact of the source water. I really don’t care if someone pays $400 or $4,000 for a water ionizer as long as they start drinking the water. Those that think they are getting something better can pay the $4,000 price tag. I have said about all I can say about water ionizers. Those that care about what I write already know what I think and there is really no point in going over the same thing over and over again. I’m going to focus my future efforts on connecting the dots between water and health issues such as obesity, arthritis, diabetes, weitht loss, skin elasticity etc.